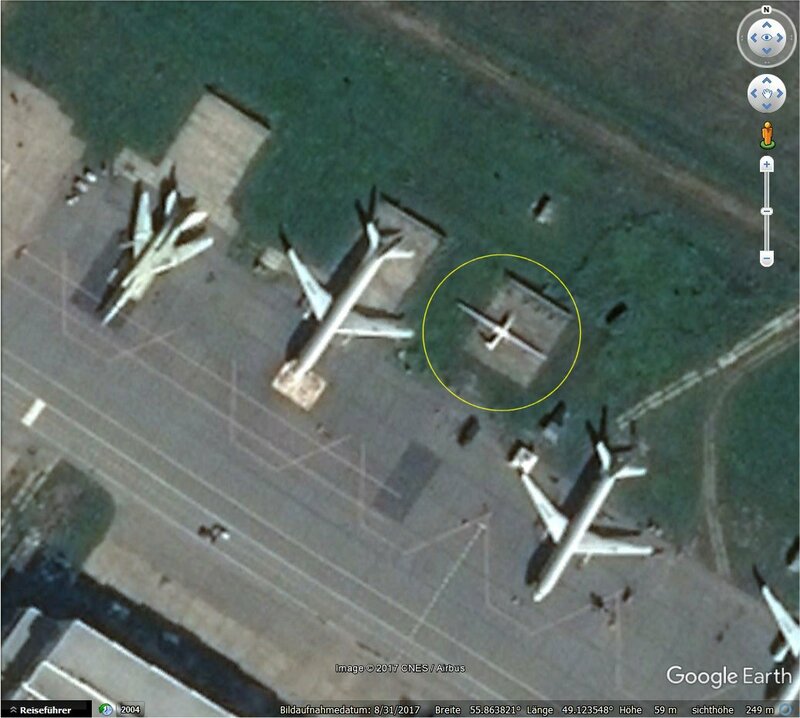 the newest google earth image of Kazan shows an unknown (at least to me) huge Drone (30x12m). It seems not to be an Altius-M.
is this an alternate name for Altius or is a completely different uav? Altius-M is the name of the Scientific Research Program (Научно-исследовательская работа (НИР)). 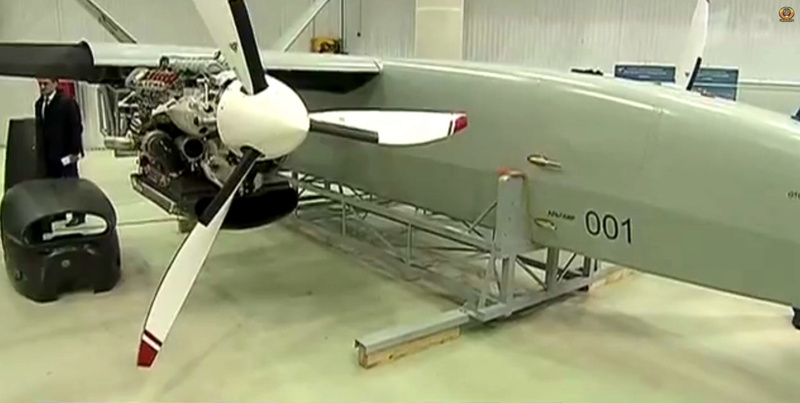 Altair is the name of the UAV that emerged as a result of that effort. 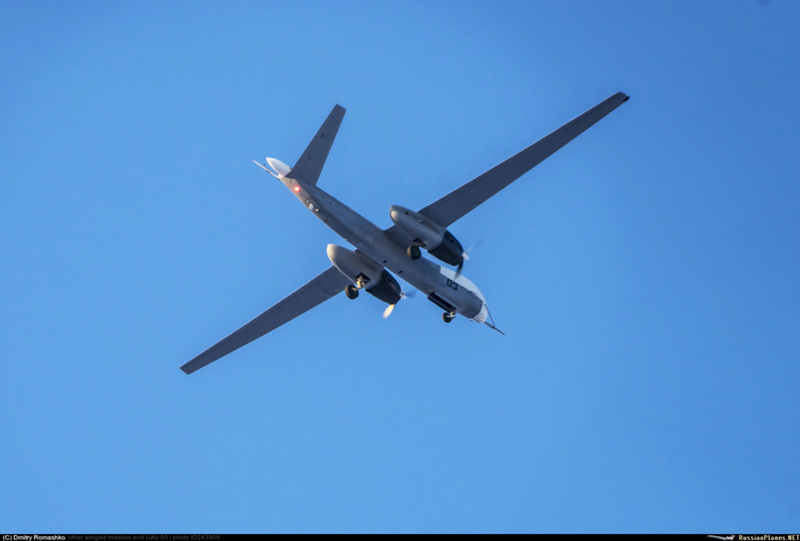 The development of a heavy unmanned aerial vehicle may continue in another enterprise. Development of a heavy drone "Altair", which dealt with the OKB. MP Simonov, discontinued. It is reported by the newspaper Vedomosti, citing a source in the Ministry of Defense. 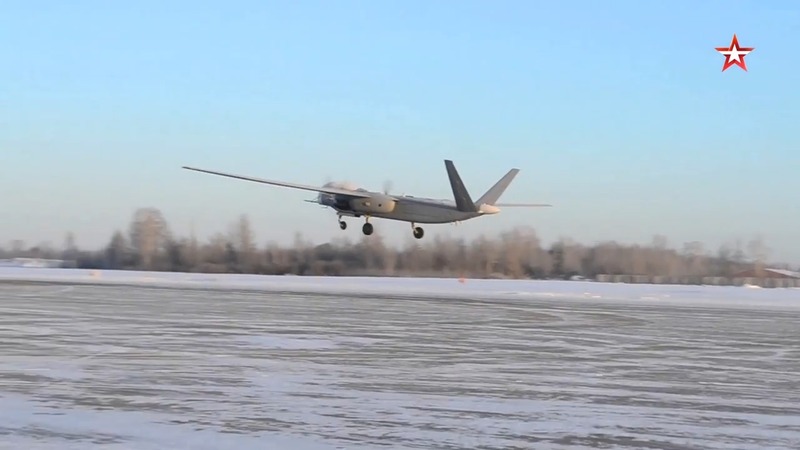 The report stressed that the groundwork for the "Altair" will not disappear: the creation of a UAV of this class can be continued in another enterprise. According to the interlocutor of TASS, about the closure of the program "there was no talk at all"
MOSCOW, October 9. / Tass /. 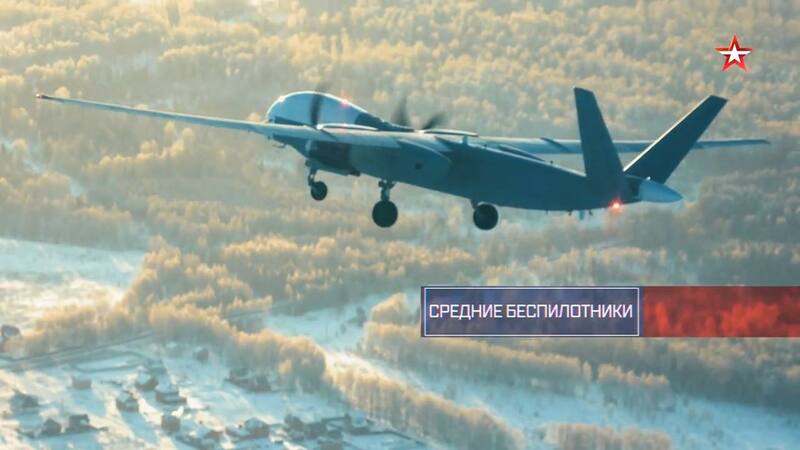 The decision to transfer the production of the Altair unmanned aerial vehicle (Altius theme) to the Ural Civil Aviation Plant (UZGA) will be made before the end of the year, it was not planned to close the program. This was reported TASS source in the military-industrial complex. The transfer of production from the Simonov Design Bureau to UZGA is under consideration. The final decision should be made in December," a source said. The agency interlocutor added that "in principle, there was no talk of closing this program." "A possible transfer of production is associated with known problems in the OKB," he added. at the end of 2014, when the device was supposed to fly, only an approach took place - the car was torn off the strip and re-planted. 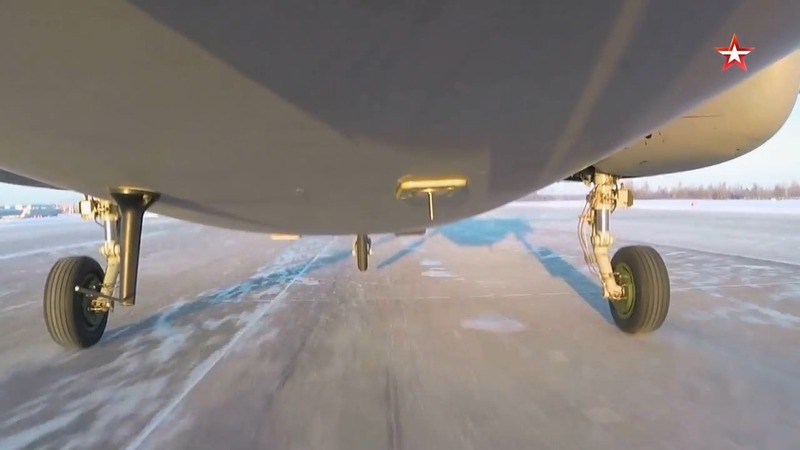 And with the first flight reached to 2015. Meanwhile, according to the terms of the state contract worth 3.6 billion rubles worth of design contracts (ROC) Altius-O, concluded in November 2014, the bureau by February 2017 was supposed to produce two UAV models and hand them over in November 2018 But today, the Okrovskaya car made only a few flights, while a minimum of 50 is required. 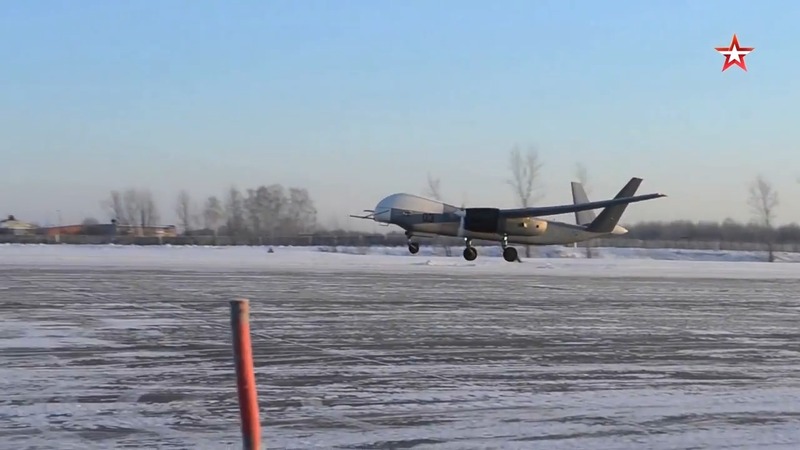 The source itself describes the flights with irony: the maximum height is 800 m, the drone is controlled from a helicopter flying near it, while preparing for the flight takes more than a week. BS on par with CNN. "Unnamed source tells me... bla, bla, bla." Simonov is a design bureau, UZGA will be the production plant. Sending it to different developer is definitely smart thing to do. I hope they don't forget to sue previous ones for fraud. The project is moving. With (the head of Tatarstan Minnikhanov) Rustam Nurgaliyevich held a meeting, looked at the results ... There is a slight lag, but we will now catch up, so this work will definitely be done. configuration, "- said Krivoruchko. 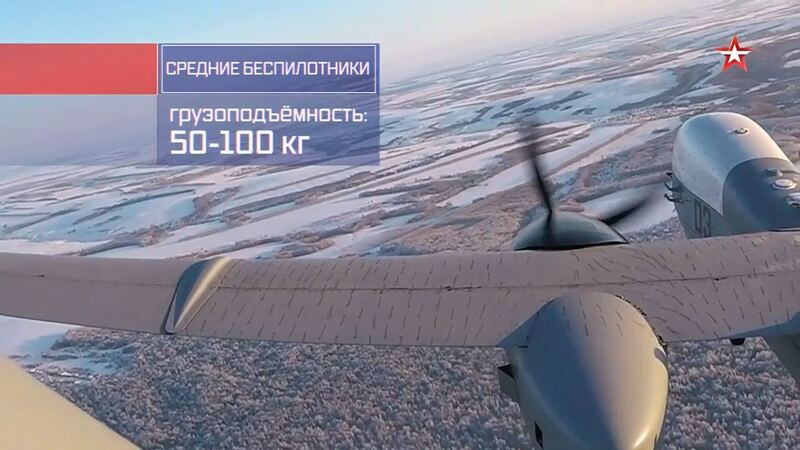 i made a seperate topic for Altair UAV because its the first big Russian UAV, so its a special case. 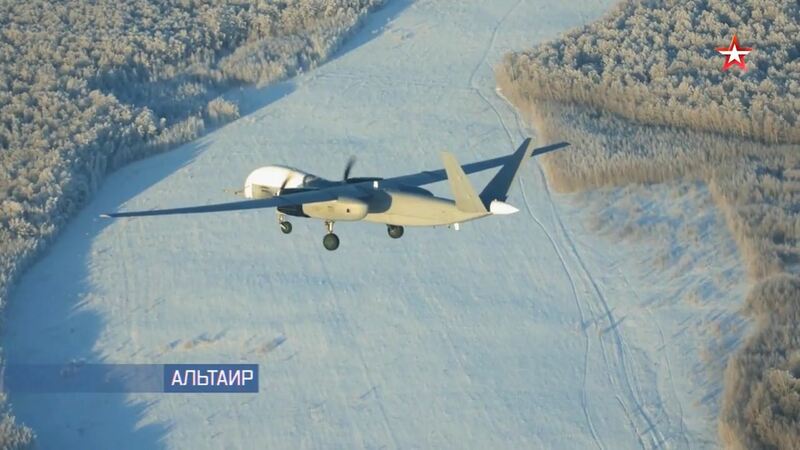 George1 wrote: i made a seperate topic for Altair UAV because its the first big Russian UAV, so its a special case. 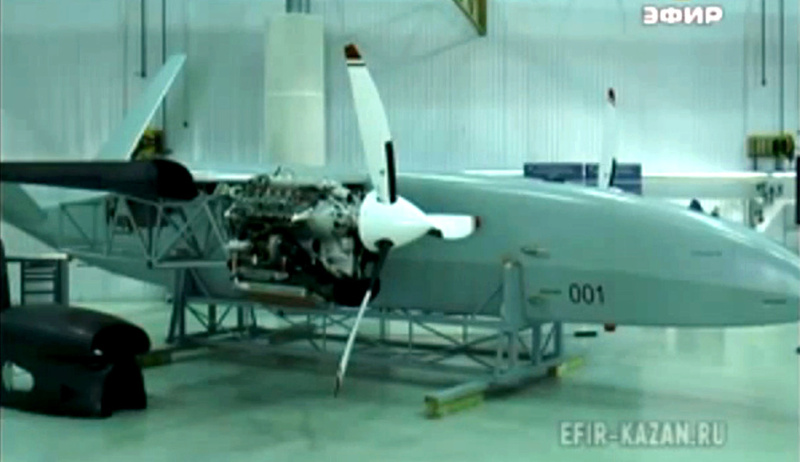 New photo of the Altair UAV. Look at this stealth suit the guy is wearing!